Well, heres a new one from Forge World. Or rather an old one who Johan already shown. But it is new, even though it looks old fashioned. And there is a new Contemptor Pattern too, with slightly more curly script on it. It's cool but the retro Land Raider is more news worthy. 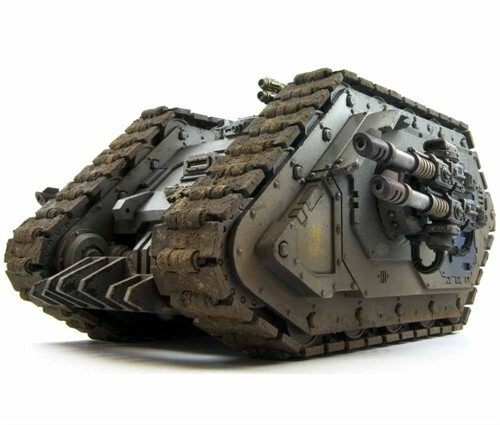 When I see tanks painted by Forge World my biggest wish is always to have an airbrush. The way they paint tanks is so fantastic.